Often times our customers find themselves with unwanted gold or diamond jewelry. Instead of storing potentially valuable jewelry away, why not sell your nonessential pieces? At Craig Husar, we are proud to be one of America’s Most Trusted Names in Fine Diamonds & Jewelry™. When you need a reliable and ethical option in the Greater Milwaukee region, our gold & diamond buyers can help. When you meet with our Trusted Jewelry Advisors, we’ll evaluate your pieces carefully. In many cases, the gold jewelry you sell will be melted down to create new jewelry. Cultures have recycled gold jewelry in this way for thousands of years. In addition to gold jewelry, coins and other gold items can also be melted down. The most valuable gold is 24k because it’s pure. As the karat drops, so does value — although pieces made from 14k or 10k gold can still be valuable. Most pieces are made from 10k, 14k, 18k, 22k and 24k gold. Unsigned pieces may be worth more melted down, and pieces signed by a renowned designer may be worth more if they’re sold intact. Selling gold to a trustworthy dealer such as Craig Husar should be straightforward because the daily price of gold is clear and readily available to anyone who seeks it. Selling diamonds is more subjective, because there is no “daily price” for diamonds. That’s why going to a dealer respected for honesty is essential. Our appraiser can give you an accurate picture of your diamond jewelry’s quality and worth. In many cases, separating the diamond from the metal it’s set in will result in the highest price for you. In other cases, such as if the piece is signed or has vintage quality, keeping it intact is the best choice. Customers from Waukesha to Milwaukee have turned to the Husar family for over 50 years when they need to purchase important jewelry. When it’s time to sell unwanted heirlooms or pieces that simply don’t fit your taste, you can trust Craig Husar to provide you with fair and honest pricing. Our Brookfield showroom buys diamond and gold jewelry according to the highest standards of practices and ethics. That’s why we’ve earned exclusive membership in the American Gem Society. We are also ranked among the top 5% of jewelers in North America! 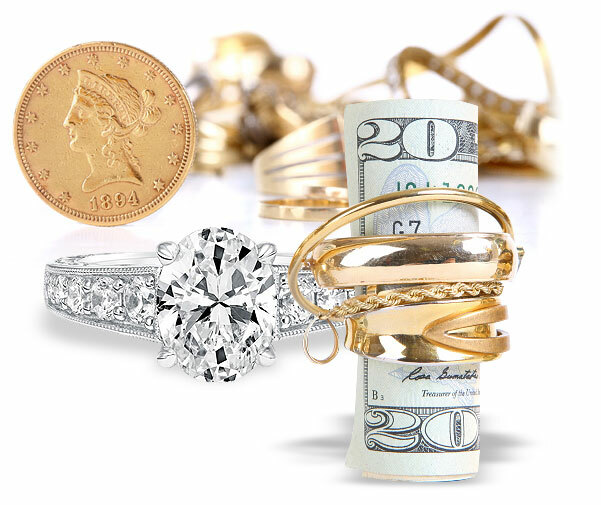 Our Trusted Jewelry Advisors would like to speak with you when you’re ready to sell unwanted gold and diamond jewelry. Our new showroom is located at 20100 W. Bluemound Road, Brookfield, WI 53045. For more information about selling your gold or diamond jewelry, connect with us at 262-789-8585.